SEO Brand offers off-page seo assistance for brands wanting to focus more on the outside of their website. Our services help you enhance and optimize all of the factors that affect your SEO off-web, in turn helping make sure that every facet of your web presence is designed to improve brand awareness and bring in more converting traffic. While it’s true that search engine algorithms are incredibly nuanced and constantly evolving, it’s generally understood that off-site SEO factors carry more than 50% of the weight when it comes to your site’s ranking. That’s because off-site factors like backlinks, mentions on other reputable websites, social media activity, and others help paint a much fuller picture of who your brand is and what you’re all about. SEO Brand offers targeted off-page SEO services that optimize your web presence from the outside in. In addition to implementing the most up to date strategies available to make sure that your website complies with search algorithms and ranking factors, we’ll conduct a comprehensive discovery process that looks at all factors of your off-site SEO that’ll enable us to create, execute, and sustain a plan for making the most out of your off-site search engine marketing efforts. Your ability to rank high in search engine result pages comes down to the on and off page elements that help search engines like Google, Bing, and Yahoo determine your relevance, authority, and trustworthiness. There’s a lot of competition in the online marketplace, and everyone is fighting for that top spot and the most traffic. While an optimized website is necessary for achieving that, so too is an established, positive reputation from other channels and platforms. The most important element of off-site SEO is backlinks. Backlinks are links on other web pages that lead to your site, in turn helping strengthen and improve your domain authority. Take two directly competing websites with equal on-site SEO practices and you’ll find that it’s the site with a better architecture of backlinks that ultimately ends up with the higher ranking. At SEO Brand, we’ll put together a personalized team of agency experts for your brand that will help you build a targeted foundation of backlinks on reputable off-site channels. This multi-level process includes the three main types of backlinks: natural, manual, and self-created. are those that you receive from other sites without deliberate action taken on your part. We’ll help you gather these links through the design and creation of high quality, share worthy content that we’ll post on your page, in press releases, and on various reputable platforms to gain editorial attention and encourage others to share the content with a link back to your site. are achieved through direct link-building efforts. To help you acquire these, we’ll do things like write guest posts for other sites that link back to your page, encourage influencers and customers to link to your website and content, and share links to your page on social media. are acquired through the inputting of links back to your site on directories, website comment sections, forums, etc. Be aware though: while it may seem easy enough to just start sharing your links in a bunch of comment sections, relying too heavily on self-created backlinks or engaging in certain self-created backlink strategies can backfire, as search engines might flag your tactics and penalize you. We’ll make sure that any self-created backlinks to your site are done professionally and within the range of SEO acceptability. Your off-site SEO ultimately comes down to enhancing a strong, positive brand reputation. 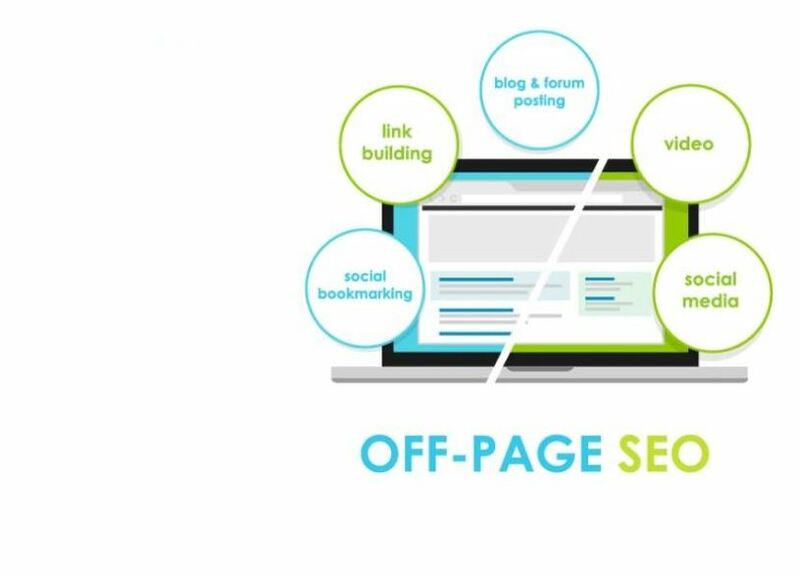 Every step of our off-site SEO services, are designed to improve your web presence and authority, bringing your website to the top of search listings and getting your page in front of your ideal audience. The more authority we can build into your site from off-site channels, the better chance you have of outranking your competition and pulling in more converting traffic. To get started with our off-site SEO services, give us a call at 800-262-5023 or send us an email at info@seobrand.net.